Alexandra Bergson, a young Swedish immigrant girl who inherits her father's farm and must transform it from raw prairie into a prosperous enterprise, is the first of Cather's great heroines - all of them women of strong will and an even stronger desire to overcome adversity and succeed. But the wild land itself is an equally important character in Cather's books, and her descriptions of it are so evocative, lush, and moving that they provoked writer Rebecca West to say of her: "The most sensuous of writers, Willa Cather builds her imagined world almost as solidly as our five senses build the universe around us." In a interview, Willa Cather said, "I decided not to 'write' at all, - simply to give myself up to the pleasure of recapturing in memory people and places I'd forgotten." "I like trees because they seem more resigned to the way they have to live than other things do. I feel as if this tree knows everything I ever think of when I sit here. When I come back to it, I never have to remind it of anything; I begin just where I left off." 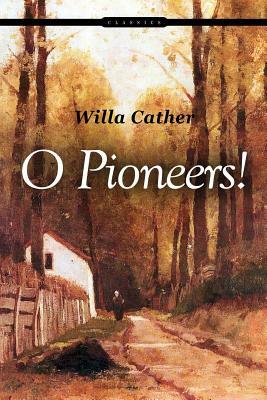 Willa Cather, O Pioneers.